TNPSC Group  2019 [Exam Date, Apply Online & Vacancies] : TNPSC Group 4 Notification 2019 for the positions of VAO, Steno-Typist Grade III, Typist, Draftsman, Field Surveyor, bill collector-grade I, Junior Assistant (Security) and Junior Assistant (Non-Security) will be released on official website. Tamil Nadu Public Service Commission has released the annual planner for the year 2019. As per this planner, the notification for the TNPSC Group 4, which is otherwise called Combined Civil Services Examination – IV (Group IV Services & VAO) will be released tentatively in the month of June 2019. The recruitment test Group 4 is conducted by the TNPSC as an objective type test, which should be answered by candidates in the OMR Sheet. The paper will be a single paper with questions of SSLC Standard. The test duration will be three hours and the total mark for the test is 300. 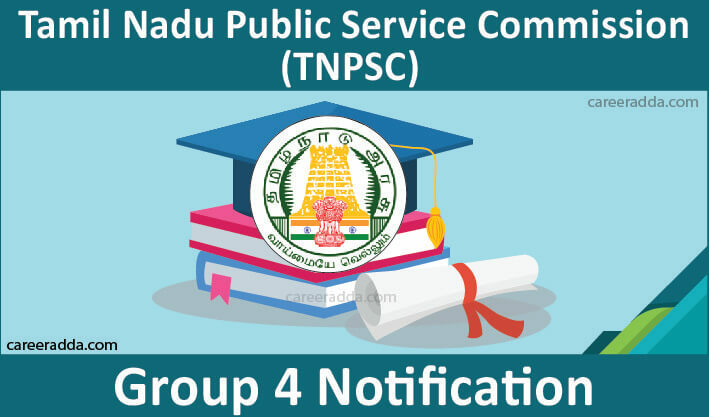 If you have plans to apply for the TNPSC Group IV, you should know that the notification will be released for this recruitment tentatively in the month of June 2019. You can find the notification on the official website of TNPSC under the latest notification page. For the VAO Position, the applicants must have completed the minimum age requirement of 21 years and they should not have completed 30 years of age. When this upper age limit is applicable for General category candidates, for reserved category, the utmost age limit is 40 years. In addition to VAO, the TNPSC Group IV recruitment is conducted for other positions like Steno-Typist Grade III, Typist, Draftsman, Field Surveyor, bill collector-grade I, Junior Assistant (Security) and Junior Assistant (Non-Security). For these positions, the minimum age requirement for candidates is 18 years and the maximum age limit differs based on the category to which they belong. For general category candidates, the upper age limit is 30 years. 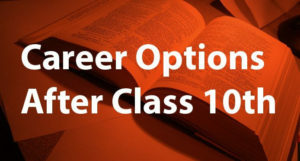 For complete details about the upper age relaxation for other candidates, you can visit the official notification page. For all positions, the applicants must possess at least a general educational qualification, which means that they must have passed SSLC public examination or its equivalent and they should be eligible for admission to the higher secondary courses of studies or for college courses of studies. 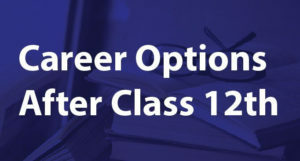 Prospective applicants must remember that they are not eligible for applying even if they have any other higher qualification, but not has passed their SSLC. Applicants claiming any qualification as equivalent to SSLC should upload the evidence of such a claim when they apply in the form of Government Order. The GO should have been issued before the date of notification issued by TNPSC for Group 4 Recruitment 2019. By Senior/Higher Grade in English and Junior/Lower Grade in Tamil. Candidates applying for the typist and steno-typist position should have completed their certificate course in Computer on Office Automation from the Industrial Training Institutes. Candidates without this qualification can also apply, but they will have to complete this course during the probationary period. In addition to the basic qualification stated for all posts above, preference will be given to candidates, who are trained in the survey in the Industrial Training Institutes. In addition to the things above, it is compulsory that candidates must have adequate knowledge of Tamil on the notification date. You will have to submit the application form for TNPSC Group IV online through the website of the Tamil Nadu Public Service Commission. The websites include www.tnpsc.gov.in, www.tnpscexams.net and www.tnpscexams.in. You should make sure that the application submission is done before the last date without fail. Before starting the online application process, you will have to go through the “instructions to applicants” that was given on the commission’s website. TNPSC Group 4 – How To Apply Online? Upload the photograph and signature as per the guidelines for uploading photograph and signature. Keep your scanned image of photograph, signature and certificate to complete OTR. 3. OTR is not an application. To apply, you will have to click on the “Apply” option that you can find corresponding to TNPSC Group 4. Once submitted, print the application for future reference. No need to send it to the commission by post. The registration fee for OTR is Rs.150. Candidates, who have already registered with the website of TNPSC are exempted from this fee. For those, who have registered before the 1st of March 2017 by paying Rs.50 are also exempted from this fee. TNPSC Group 4 examination/ Application fee is Rs.100, which should be paid at the time of submitting the online application. SC/ST candidates and differently abled candidates are exempted completely from payment of this fee. MBC candidates, who have not availed three free chances so far in the previous recruitments can avail exemption from exam fee. Ex-servicemen, who have not availed two free chances so far in the previous recruitments can avail exemption from exam fee. You can also pay the fee using net banking/credit/debit card. Even, it can be paid offline at Post Office/Indian Bank/SBI within 2 days from the date of submission of online application. You will not have to upload any documents when you apply online. However, if you are called for by the commission specifically, you should submit/upload the required documents. If you do not do so or if the document you have uploaded is not clear and not readable, your application might be rejected without any further notice. During One Time Registration, you should have your scanned image of a photograph, any certificate insisted on the instruction page and your signature ready in a pen drive or your system to upload them. The question paper for the general studies and aptitude test will have questions both in English and in Tamil. For the General Tamil/General English, the question paper will have questions in the respective language. Candidates have the option to choose any of these papers. Candidates can visit the notification page and the detailed syllabus will be given as one of the annexures along with the notification. For this position, candidates with a senior/higher grade in Tamil and in English will be selected first. In case, candidates with both these qualifications are not available, those with a senior grade in Tamil and junior grade in English will be selected. If both these candidates are not available, candidates with a senior grade in English and junior grade in Tamil will be selected. Candidates applying for the steno-typist position should remember that intermediate completion will not be considered as senior completion in stenographer examination. The preference will be given in the same manner as in the case of the typist. But, the difference is that the qualification of candidates both in typewriting and stenography will be considered. The minimum qualifying mark for all other positions including typist and steno-typist in the written examination will be 90 marks out of 300 maximum marks. On the basis of the marks secured by candidates in the written test, the commission will create a tentative list of eligible candidates for verification of certificates. This list will be published by the commission on its website. After document verification, the list of candidates eligible for counselling will be summoned for post allotment and department/unit allotment in the order of rank and also on the basis of the category to which they are eligible on the basis of the available vacancies. After successfully applying, candidates can expect the admit cards for the TNPSC Group 4 examination to be available on the official website of TNPSC. They will not get the hall ticket delivered to their home. So, they should regularly visit the website of TNPSC before the exam date to download the hall ticket promptly before the test. How To Download Admit Card For TNPSC Group 4 2019? Look for the link called “Online Services” on the right panel. Under this tab, there will be a “Hall ticket download” link. Click this link and reach http://tnpscexams.in/. Here, look for the TNPSC Group 4 2019 in the table that contains current notifications and their links to apply, application print, notification, etc. Once the hall ticket is available, there will be a link to Hall ticket corresponding to the row that shows “TNPSC Group IV”. Click it and provide the required details. Then click on the download button after checking the correctness of the details. Finally, print the admit card and do not forget to carry it to the test centre. The result for TNPSC Group 4 recruitment will be published on the official website of the commission. You can expect the announcement of results for the written test around 5 months after the written test tentatively. If you are shortlisted, you will be notified about the date of document verification via SMS and Email. You will not get any information via post in this respect. The result link once published will have the list of registered numbers of shortlisted candidates in a PDF page. You will have to search for your registered number on this page using the “Find” option. If you find your number, you should keep the original documents ready for document verification. You will be notified about the venue of the document verification and you will have to regularly visit the website without fail to know the date and venue. Tamil Nadu Public Service Commission will decide the cut-off for the TNPSC Group IV written test on the basis of different categories. Based on the cut-off decided for different categories by the commission the merit list will be prepared and will be published on the official website. Candidates hired for the group IV position will be recruited in the pay scale of Rs.5200-20,200/- + 2400 GP, which is the pre-revised version. They can expect more in the notification that will be published for the TNPSC Group IV recruitment. Candidates can know the exact pay scale from the notification. Q. How Can I Apply For TNPSC Group 4? A. You can apply for TNPSC group 4 through the Commission’s website i.e. www.tnpscexams.in. Link to apply will be activated soon. Q. Is It Necessary To Go Through One Time Registration System? A. Going through one time registration system is mandatory for all those candidates who want to apply for any posts under TNPSC. Q. When Will TNPSC Group 4 2019 Notification Will Be Released? A. TNPSC Group 4 notification will be release most probably in the month of June 2019. Q. What Is The Educational Qualification Needed For The Post Of Village Administrative Officer [VAO]? A. To apply for the post of VAO, a candidate must have studied and qualified SSLC or its equivalent class. Q. What Are The Posts In TNPSC Group 4? Q. Will Be There Any Negative Marking In TNPSC Group 4 Exam? A. In TNPSC group 4 exam, there will be no provision of negative marking.